Based on a deep understanding of blockchain assets and TOKEN economy, and industry’s ills, we believe that the reasons for the mismanagement of many exchanges in the current market can be summarized as: 1. Primary Technical Architecture The technical architecture of many service platforms is very basic, and it is simple and rude to put together various functions to build a service platform. This seemingly efficient approach is very popular in the Internet era, but the development of the blockchain industry needs a more professional team to support and quickly and stably handle high concurrent transaction requests. The service platform must improve the efficiency and fault tolerance of the system from the bottom to protect the security of users’ assets. 2. Poor Product Experience The product experience of many service platforms is still very primitive. Blockchain digital asset trading services are at the forefront of technology and financial innovation. We should learn from and use the advantages of traditional financial trading markets, using the best technology and design for the blockchain so that users of the Digital Asset Transaction Service Platform can enjoy the best product experience. 3. Low Security and Stability For the service platform, security is a top priority. In fact, as many as 300 service platforms have been shut down due to hacking, which has caused huge losses for users of digital asset service platforms and those who love blockchain technology. 4. Unreasonable Mechanism of Listing Currency At present, the digital asset service platform in the industry has an unreasonable mechanism for handling the review process of joining new projects. Large platforms with technical strength in security review are too expensive, resulting in a large number of high-quality compliance new projects can not join the platform, and often non-compliant project parties are more willing to pay large review fees to pass the review. Then they get a lot of digital assets in a short time through the damage to the interests of ordinary users. In addition, a large number of small and medium-sized service platforms do not have qualified security review technology, and high-quality projects are overwhelmed by a large number of inferior projects. The entire market is currently in a vicious circle of “Bad money drives out good”. Based on this, we believe that the entire industry and investors need new vitality to bring everyone out of the low tide. GGBTC Advantage Analysis — — Global Market Operation Capability The GGBTC core team members come from many countries around the world and have an international background. The exchange will set up markets and R&D stations in important continents and cities around the world. It will differentiate products and market strategies for different markets around the world. — — Strong Prospective Technology All members of the GGBTC team come from the world-renowned Internet and financial industry practitioners and all graduated from world-renowned universities, with an extremely cutting-edge knowledge structure and an extremely complete technical reserve. With strong research and development capabilities, we can realize the productization of the latest technology. — — Efficient Resource Integration Capabilities The GGBTC team has numerous partners in the global blockchain and traditional financial industries, including but not limited to various financial institutions, venture capital institutions, investment funds, media units, virtual currency mines, etc., which lays a solid foundation for future business of the platform. — — Perfect Mechanism of Listing Currency In order to protect the interests of investors, we will conduct asset evaluations on the currencies of all online transactions. The currency must meet the following conditions, including but not limited to: strong technical structure or application; the community is active and has wide audience; no policy risk and meeting professional compliance requirements; timely disclosure of project information, project white papers, regular development, progress reports, etc. ; other requirements of the trading platform for online currency trading. According to GGBTC.COM, the Singapore game project HGC has launched on GGBTC.COM. GGBTC has officially listed HGC/USDT trading pair at 14:00 on April 16, 2019. Now, users can trade HGC via GGBTC.COM. HGC (HiGameCoin) is an operation team in Singapore that serves technology development in the game market. With rich experience in game algorithm technology, it has a large number of industry technical experts and authoritative technical consultants, providing the underlying technology engine and scientific algorithms for many game platforms around the world. Hello, Black Holes. I'm Gravitation. Everyone knows that cryptocurrencies like bitcoin, ether, dash, and ripple are the entry-points to the blockchain world. Blockchain technology is professionally assisting innovators for developing solutions in manufacturing, retail, supply chain, pharmaceutical, healthcare, transportation, real estate, government and more. List of some popular firms that stand out in the blockchain world: Supply Chain: They are hugely investing resources which could assist to solve cross-border supply chain problems. IBM’s shared ledger can provide real-time traceability and transparency. Their digital ledger is offering ways for the shipping companies to optimize their supply chain tasks. The project uses blockchain to support financial and supply chain systems. Firms will be able to buy blockchain registered assets and connect their ERP solutions to the Hijro Trade Asset Marketplace. The firm wish to offer service to customers with global supply chains. Businesses would be able to use SkuChain for their cross-border trades. The firm is developing a blockchain-based solution to secure traceability of certifications and other details in the supply chains. Provenance would provide a digital identity for every product. Healthcare and Pharmaceuticals: The firm is targeting applications like pharmaceuticals, luxury items, diamonds, and electronics. The application would be able to verify counterfeit products, diverted goods, stolen merchandise and fraudulent transactions. They focus on providing blockchain solution for electronic medical records (EMRs). Gem is eminent enterprise level application that can connect to any blockchain network. It can work with Ethereum, Hyperledger, and more. 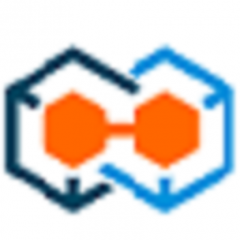 They offer data store, standardized resource representation, access controls and Rest API. Financial Services: The firm is developing smart contract applications targeting IoT, video gaming, and micropayment transactions. The users will be able to exchange value by using smart. It is a bit-coin based cryptocurrency wallet. The users can buy, store and exchange bitcoins utilizing the ABRA app on their smartphones. This firm in conjunction with Microsoft is trying to implement blockchain for marine insurance. They would assist marine organizations to better predict risk factors due to more up-to-date information. Retail: It is a free online marketplace for trading goods and services without the requirement to pay any third-parties. They can build custom mobile applications on the blockchain. Transportation and Travel: It is a ridesharing application that runs on the blockchain. The decentralized transportation platform intends to offer real-time ridesharing options for consumers. It is a travel portal like CheapTickets or Expedia but built on the blockchain. By developing direct connection between travellers and service providers, Webjet could bring down travel costs. Finally Blockchain technology is assisting with every aspect of the modern world. Coinjoker is the leading service provider of crypto currency exchange script with high prime features,solutions and services of cryptocurrency exchange business industry. 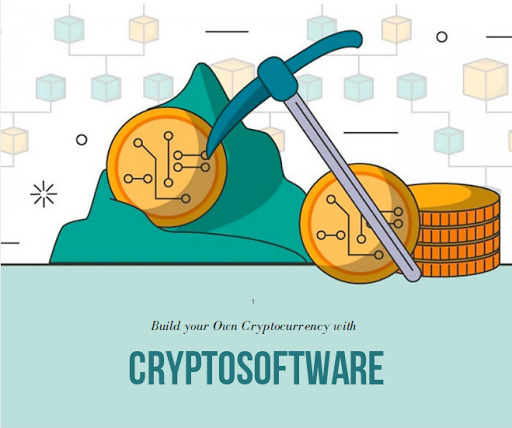 Features: The cryptocurrency exchange script is designed by considering security features from various users sides like admin and exchanger's side. They provides inbuilt secure features like secure wallet integration, mobile wallet, their wallet, escrow bound application, multi-signature wallet integration, encrypted wallet. Crypto Business Services : They also offers additional business services like support and services for enhancement for your cryptocurrency exchange business website to cover large number of exchangers. Feel free to contact their experts !! When are you used to browsing Twitter for Bitcoin or other Cryptocurrency? When are you used to browsing Twitter for Bitcoin or other Cryptocurrency?Please tell me.Thank you everyone! Description (Plans): 1% Daily for 30 days with Principal Return 1.4% Daily for 15 days with Principal Return Launched Date: 14 - 03 -19 Investment plans: 1% Daily for 30 days with Return Principal & 1.4% Daily for 15 days with Return Principal Minimum Deposit :$10 in plan 1 and 20$ in plan 2 Minimum Withdrawal : $10 Methods of payment : ethereum, litecoin and bitcoin Referral commission : 7-2-1-1-1% There are a lot of payment proofs in other forums and hyip monitoring services, u can check it. We will publish some there too. Hello everyone! Been looking for a post about any crypto wallet in here, but found none. Maybe someone will be interested in one so I shall leave my little review here. Why Freewallet? I personally like the design and user interface. It is finally friendly even for a newcomer like myself. A friend of mine whom I called to join Freewallet from the HitBTC exchange, he likes it too. Also, the thing he likes is that the Freewallet has in-app exchange that requires basically no skill in trading, maybe some market knowledge so you won't lose. All you got to do is click here and register (email, google+, facebook, phone). Which Cryptocurrency exchanges it the best? Which Cryptocurrency exchanges it the best? Can anyone help me Regarding this? [SPA] SPARTA – A Proof-of-Stake Cryptocurrency. Simple. Fast. Reliable. SPARTA is a new cryptocurrency that uses blockchain technology and was created by a team with 3 years of cryptocurrency experience and 6 years’ experience managing large projects. The team has united behind the idea of creating a new society of free and happy people. The name SPARTA is derived from the words: “SPArk” + “Target”. SPARTA is a new spark in the cryptocurrency world. We seek to represent progress, development and forward movement. 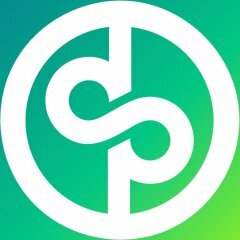 Our spark is “targeted” at creating new financial relations that are decentralized, honest, and fair. SPARTA cryptocurrency is also named after the eponymous state in ancient Greece. Sparta exemplified the ideal state described by the philosopher Plato. We want to make SPARTA cryptocurrency as simple and clear as possible. Like the ancient Spartan city-state, SPARTA is striving to be ideal, but in the world of cryptocurrencies. Our slogan: “Simple. Fast. Reliable” “SPA” is the abbreviation for SPARTA tokens. Features and Characteristics: The fee is as low as possible and changes depending on the amount of time that has elapsed since the launch. It was introduced solely for the purpose of protecting against spam transactions. Forging and proof-of-stake. The operation of the network can be supported by ordinary computers. Worthwhile reward for forging. A miner who creates a block is rewarded with the sum of all the transaction fees in the block. If certain conditions are satisfied, a miner also receives a guaranteed reward in the form of newly created SPA tokens. The reward per block changes every 500,000 blocks. The initial reward is 8,000 SPA for each block. To protect against malicious users, tokens affect the ability to create blocks only one day after they have been credited (1,440 blocks). Protection against 51 % attacks, nothing-at-stake attacks, and other malicious actions. Transactions are deemed safe after 10 confirmations (10 minutes). Blocks are generated once per minute. There are 888 transactions in 1 block. The network capacity is as follows: 14.7 transactions per second; 888 transactions per minute; 53,280 transactions per hour; and 1,278,720 transactions per day. The total number of tokens will be 8,888,888,888 (~ 9 bln). Of these, 10% or 888,888,888 (~ 900 mln) are part of the premine. All coins will be issued for circulation on stock exchanges, and the proceeds will go toward growing the cryptocurrency. The issue will not end before 2025. A mnemonic seed (mnemonic phrase), a set of several unrelated words, is used to generate the address. In the SPARTA network, addresses start with “SPA”. For example, SPA1APoGEhZF6spoqniQn8rBVAz2WgNoaUuw Apella (APL) is the smallest fractional unit of the cryptocurrency, equal to one 100 millionth (0.00000001). Forging: Create a wallet: https://wallet.sparta.top Download the forging application: https://sparta.top/sparta-1.0.0.jar SPARTA uses the proof-of-stake concept, which means that account balances are used for forging instead of computing power (as is the case with mining based on proof-of-work). SPA tokens (coins) are used instead of processors and video cards. To start forging: 1. Create a SPARTA wallet and deposit SPA tokens in your account. A minimum of 888 tokens is required to start forging. 2. Run the special application on your computer. After the application is started, it automatically begins supporting the SPARTA network. When a block is created successfully, you receive a reward. 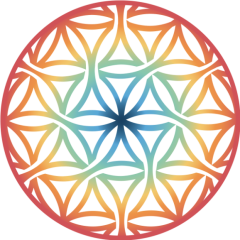 The chances for creating a new block are distributed among all network participants based on a special formula depending on the balance amount at their addresses. The more SPA tokens in the account, the more chances to create a block. The reward for creating a block depends on the number of coins in the user account: If a miner has between 888 and 999,999 SPA (inclusive) in the account, he or she receives only with the sum of transaction fees. If the miner has SPA 1,000,000 or more in the account, he or she receives with the sum of transaction fees and newly created SPA tokens. Thus, miners in the first category support the network, but miners in the second category also help the cryptocurrency grow by investing at the initial stage. Accordingly, these miners get more profit. To avoid centralization, all miners with balances of 1,000,000 SPA or more have the same changes of creating a new block. That is, if one miner has SPA 1,000,000 and another has SPA 25,000,000, their chances of creating a block are the same. Miners who have more than SPA 1,000,000 are recommended to divide their coins and forge on different servers and in different locations — countries, cities, etc. Doing this is much more useful for the SPARTA network. The SPARTA network automatically tracks and punishes unscrupulous miners using several computers with balances over 1,000,000 SPA in a single location to enrich themselves rather than develop the network. A new block is created every minute. So a miner gets a chance to create new SPA tokens every 60 seconds. The reward for a block changes depending on the total number of the blocks created (i.e. based on the elapsed time). Check out our website on https://sparta.top/about-sparta.html for more details on the reward for a block. Vision: Our goal is to launch a new stage in the evolution of cryptocurrencies. SPARTA will let cryptocurrency technology more easily and quickly become part of our lives in order to create new financial relations that are decentralized, honest, and fair. This is the future we see! With its clear advantages, SPARTA technology will bring cryptocurrencies to a whole new level. All of its benefits, convenience, and simplicity make it easy for everyone to use digital money. People can use SPARTA to gain independence from banks and easily make money from home. In time, people will recognize the advantages of SPARTA cryptocurrency over conventional money and will begin to use it widely. As a result, financial relations in society will change radically and become honest and fair. Accordingly, the whole world will become honest and fair. This is the ultimate goal we are pursuing! Road map: Listing on exchanges and p2p platforms. Listing on cryptocurrency monitoring websites (coinmarketcap.com) Forging calculator. Desktop wallet: - MacOS, - Linux, - Windows, - Chrome OS. 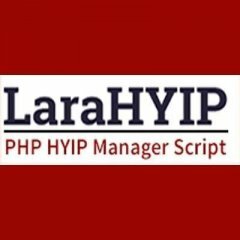 Localization of the website, wallet, and blockchain explorer into 11 languages. Creation of a compiled node for all operating systems: - Windows, - MacOS, - Linux, - Chrome OS. Real-time network graphs and statistics. Wallet for mobile devices: - Android, - iOS, - Windows, - Blackberry. Creation of our own hardware wallet or support for existing hardware wallets. nLocktime transactions. They can be used and confirmed by the network only after a certain period of time. This is very convenient for decentralized exchanges. Multiple signatures are an additional protection against scammers who try to steal wallet data to perform a transaction. A network participant can specify several other network trusted participants. When a transaction is created from the participant’s address, his or her proxies will receive a request to confirm or reject the transaction. In other words, transactions will not be approved without their permission. You decide whether your wallet requires multiple signatures. Ability to use several addresses (hd-wallet) for one wallet. BIP-31/BIP-44. Dynamic block resizing to support network scalability without a hard fork. Ability to dynamically change the block generation frequency, so that network scaling, if necessary, will not require a hard fork. Ability to dynamically change the number of transactions in 1 block, so that network scaling, if necessary, will not need a hard fork. Local exchanges/offices to exchange cryptocurrency, job positions for promoting cryptocurrency through seminars and presentations. Creation and operation of crypto-ATMs. Development of a mini-computer with an automatic update system to serve as a home node. Our own cryptographic wallets that can be used to withdraw and deposit fiat money through crypto-ATMs all over the world. Support for VISA/MasterCard cards. The card balance will be displayed in SPA. But if the account holder wants to withdraw cash, funds will be converted automatically to fiat currencies at the current exchange rate. Such cards will be especially helpful in low-income countries with unstable national currencies, whose residents lack bank accounts. Advertising platforms that award an SPA for guessing the CAPTCHA or performing some other action, similar to Bitcoin faucets, which give out a few Satoshi for comparable actions. Popularization and introduction of cryptocurrency not only on exchanges, but also in other areas. Software for “paper” wallets. Atomic cross-platform transactions (swaps) between cryptocurrencies. Additional network to safely synchronize and update wallet settings. 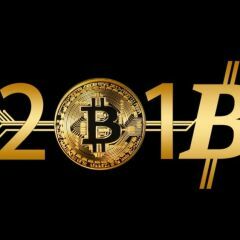 Ranking among the top 100 cryptocurrencies. Preparation of other promotional materials, including 2 videos on cryptocurrency: a promo and technical details. Creation of a .onion site and a node for the TOR browser. Smart contracts and smart assets. Crowdfunding for systems using SPA. ICO platform using SPA. Blockchain-based platform for decentralized peer-to-peer lending. Resources, source code, and useful materials: Official website: https://sparta.top; Web wallet: https://wallet.sparta.top; Forging application: https://sparta.top/sparta-1.0.0.jar; Blockchain explorer: https://blockchain.sparta.top; API for connecting to exchanges: https://api.sparta.top; Official Telegram channel: https://t.me/SPARTAcore; Official Twitter page: https://twitter.com/SPARTA_core; Official Facebook page: https://www.facebook.com/Sparta-Simple-Fast-Reliable-144359956205380; Open source code: https://github.com/spartacore/sparta/releases/tag/v1.0.0; Whitepaper: https://sparta.top/SPARTA_Whitepaper.pdf; Marketing kit: https://sparta.top/SPARTA_MK.pdf; Presentation: https://sparta.top/SPARTA_presentation.pdf; Brand book: https://sparta.top/SPARTA_Brandbook.pdf; FAQ: https://sparta.top/SPARTA_FAQ.pdf; Branded products: https://sparta.top/SPARTA_branded.pdf. Summary: SPARTA and blockchain have infinite potential. With its clear advantages, SPARTA technology will take cryptocurrency to a whole new level. As a result, financial relations in society will change radically and become honest and fair. Join us now! Did you know you can buy Gold with cryptocurrency? Eventhough the centralized exchanges satisfies the needs of the customers there exists a drawbacks in the concept of centralized crypto exchange. Hacking, fee manipulation, security issues makes us to believe that decentralized exchange is far better than centralized exchange. Major Evident benefits of decentralized exchange involves, 1. Security 2. Anonymity concern 3. No KYC process 4. No single point of control 5. Less vulnerable to the risk of hacking 6. Faster transactions etc,. It is difficult to launch and create your own decentralized exchange platform without any knowledge on it. Learn more about creating decentralized exchanges here! All cryptocurrencies will be mined (total supply) It is predicted that by 2033, all cryptocurrencies will be mined (total supply). What will mining riggers do with their machines after that? 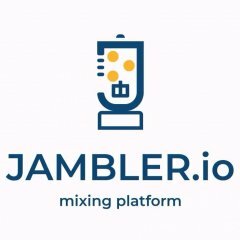 We invite you to join our affiliate program: build up a bitcoin mixer using the infrastructure of Jambler.io platform, attract target audience and start earning money. You may either launch a new mixer website or integrate mixing service to your existing source of traffic: be it a website, a blog or a telegram channel. You need neither initial investments nor operational assets, only registration in Jambler. io is required to start.